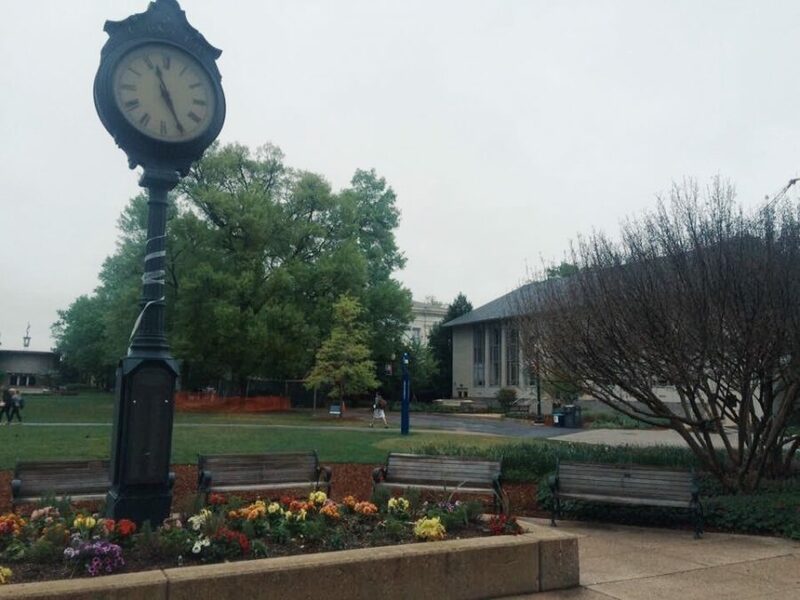 In light of the events surrounding recent statements from a member of American University Student Government, AWOL is concerned about what it sees as the formation of a potentially dangerous precedent. On Oct. 21, the Eagle published an online opinion piece calling attention to the recent student referendum on raising the student activity fee. The article explores how the student activity fee is divided among AUSG, the AU Club Council, and AU Student Media. It suggests that the current allocation of funding from the student activities fee goes disproportionately to Student Government to fund events and pay for speakers. AWOL denounces in the strongest possible terms any attempts by AUSG to misrepresent the information landscape on the day of a referendum. The AU student body deserves to be well-informed on the issue of the student activity fee. As elected representatives of these students, AUSG should understand the magnitude of a request like Kenna’s, even if the post was made in jest; and even if it is not representative of the organization’s overarching goals. The suggestion by high-ranking members of AUSG that any piece of news should be censored sets a dangerous precedent if left unchecked. Not only does it discredit the Student Government members who support censorship, but it also restricts on-campus press freedoms. AWOL believes that student media should not have to walk on eggshells when reporting on issues involving Student Government. We stand firmly with the Eagle and support its right to publish opinion pieces critical of AUSG and its policies. As much as the media exists to cooperate with AUSG, AWOL believes it is equally important that we hold our student government accountable for their actions. We live in uncertain times for press freedoms. On the national scale, there is a concentrated campaign by anti-media forces to discredit journalists and blur the lines of truth in the public forum. 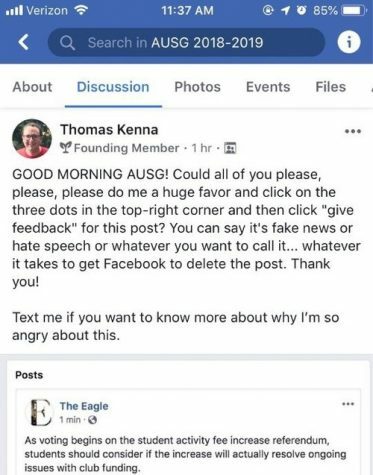 When prominent members of AUSG weaponize the terms ‘fake news’ and ‘hate speech’ to advance their political agendas and silence dissent, they contribute to the toxicity of the anti-media environment. AUSG must not tolerate nor make excuses for this kind of behavior from its elected representatives. A stronger bond between student organizations on campus is vitally important to the well-being of AU students writ large. Needless censorship does this relationship no favors. AWOL will continue our diligent work to make sure that AU’s student body is always well-informed on all the issues that matter, both on and off-campus. This means continuing to hold student organizations accountable for their actions. AWOL will also continue to pursue its goal of building a more harmonious relationship with AUSG and other organizations at AU. A more tightly-knit network of student leaders can only be beneficial to the student body as a whole.